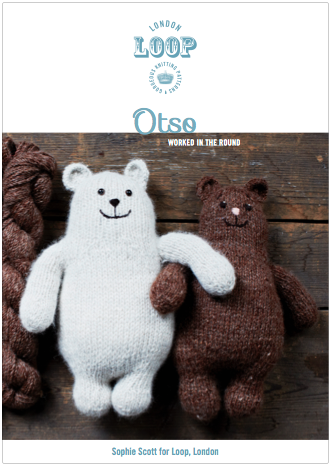 Home › Free Patterns › Otso Free Pattern – Our Christmas gift to you! 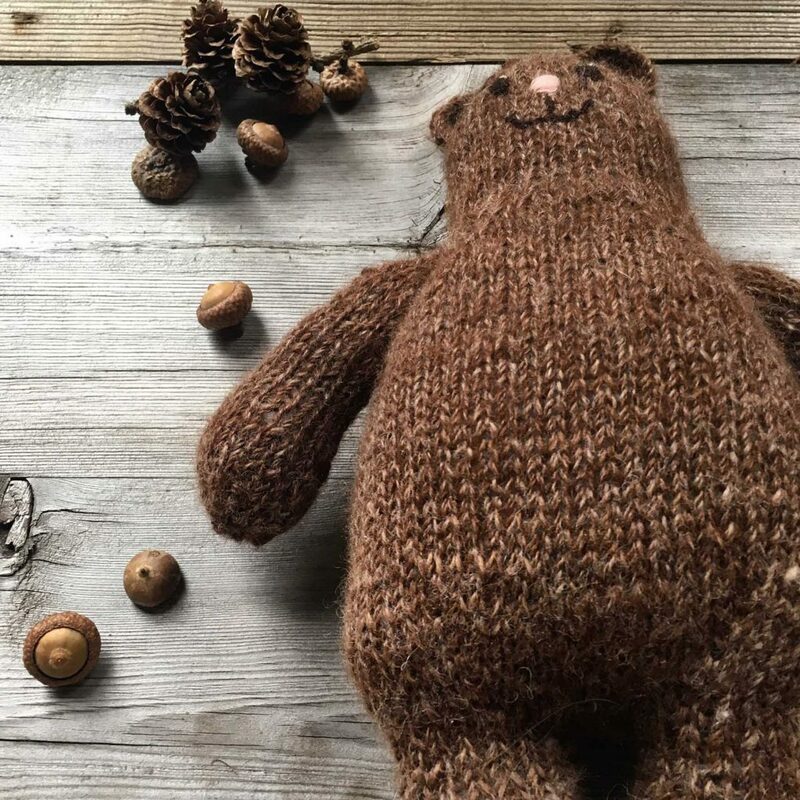 Meet Otso, a lovely toy bear pattern to knit in The Border Mill for Loop. This delightfully versatile little friend can be knit either flat or in the round, and is designed by our very own former Loopette Sophie. 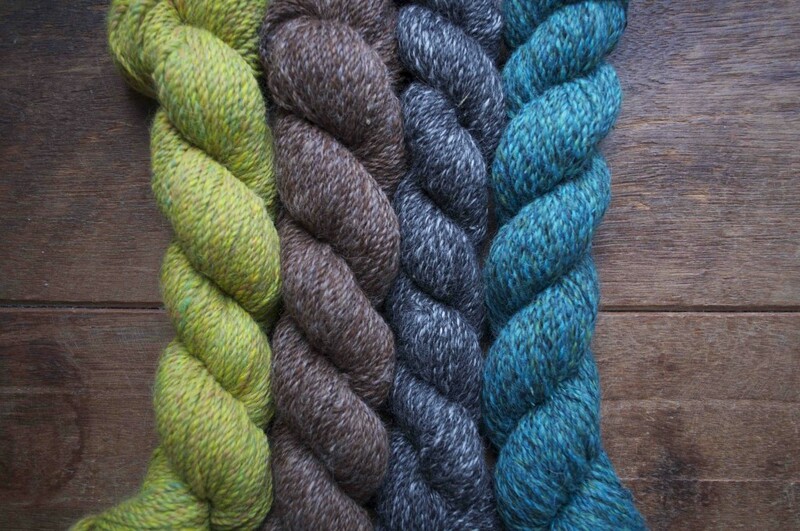 You need just one skein of Loop Alpaca Tweed by The Border Mill, a blend of natural and hand-dyed alpaca fibre that has been reared, spun and dyed in the beautiful Scottish Borders especially for Loop! 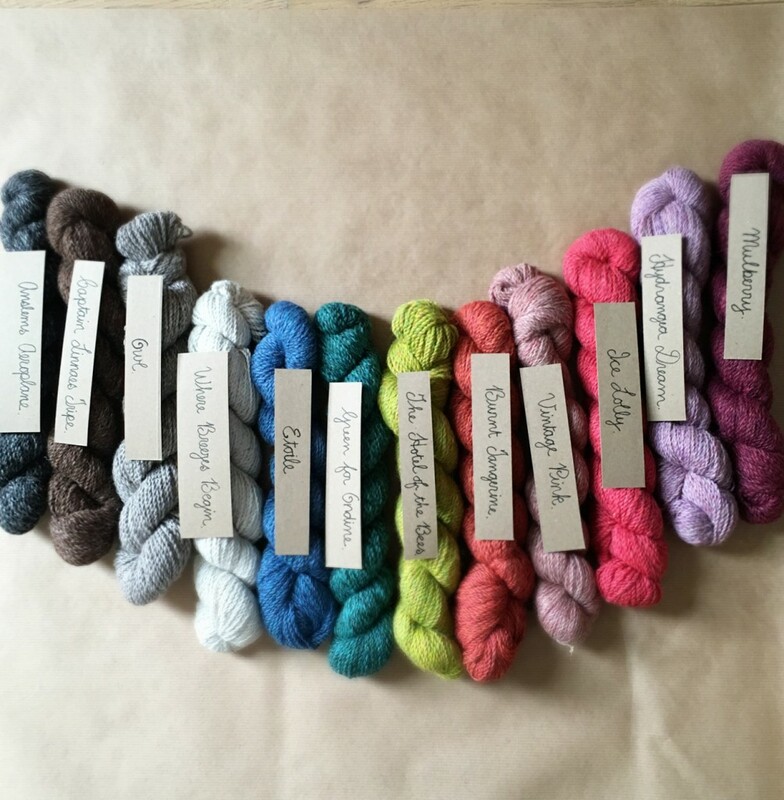 It’s a truly delicious, plump and textured yarn that we have loved from the moment we first saw and felt it! 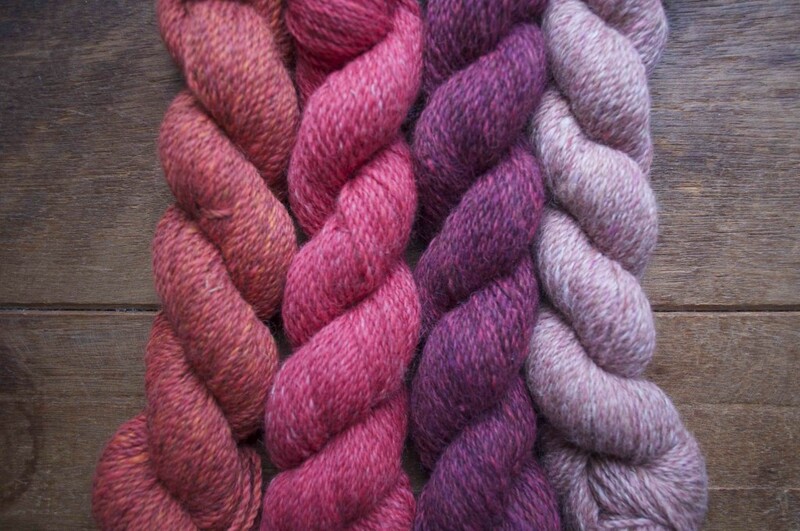 The colours Otso is shown in here are ‘Where Breezes Begin’ and ‘Captain Linneas’ Tripe, and we also have several brighter shades available too. 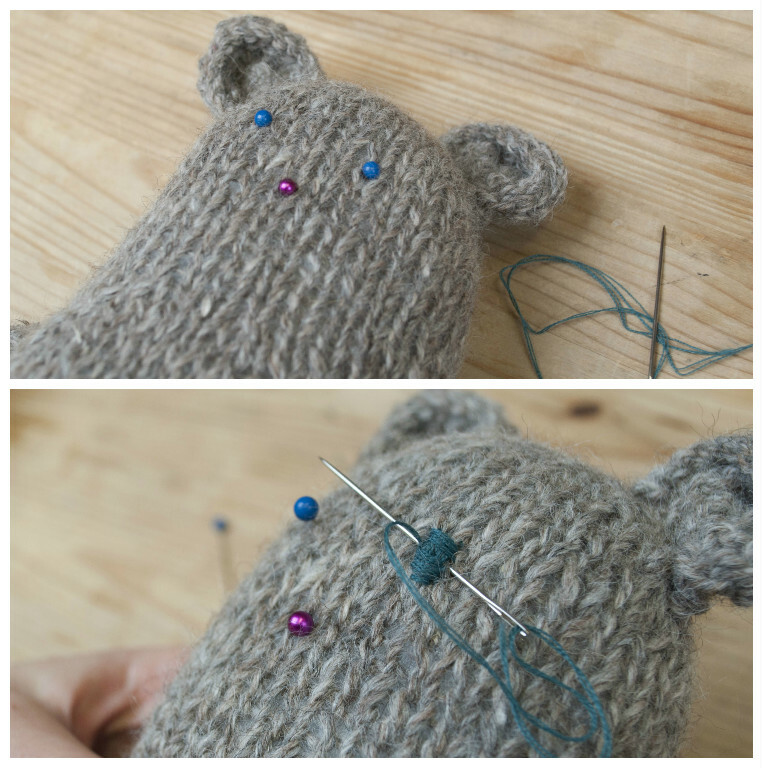 To finish your Otso, you will need some squishy stuffing, embroidery threads from Sajou to sew the face, and if you want to give your bear a little extra something, why not add a bell or a squeaker to Otso’s belly? We caught up with the lovely Sophie to hear about her thoughts on the design. I started with a little cartoon sketch of what I wanted the bear to look like – If I’m honest my first focus was it having a big squishy bum! Once I had the right shape the rest of the proportions fell into place, so this meant dumpy little legs, long arms for bear hugs (naturally) and big ears too. 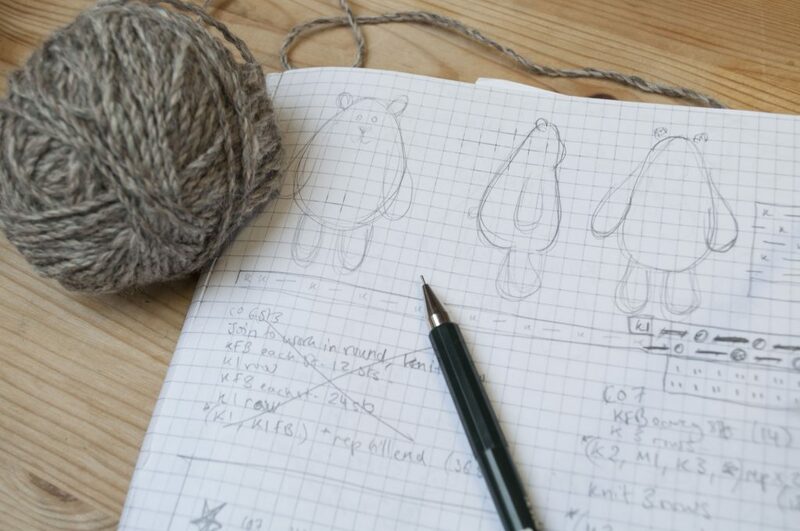 The curvy shape of the bear is made with just simple increases and decreases, plus I’ve written the pattern with the option to knit Otso either flat or in the round. As it’s a smaller project, I think it’s a good one to practise your seaming with or alternatively to get to grips with magic loop. I found that I only needed a couple of evenings to finish it, so it’s a quick and easy last minute project for Christmas! 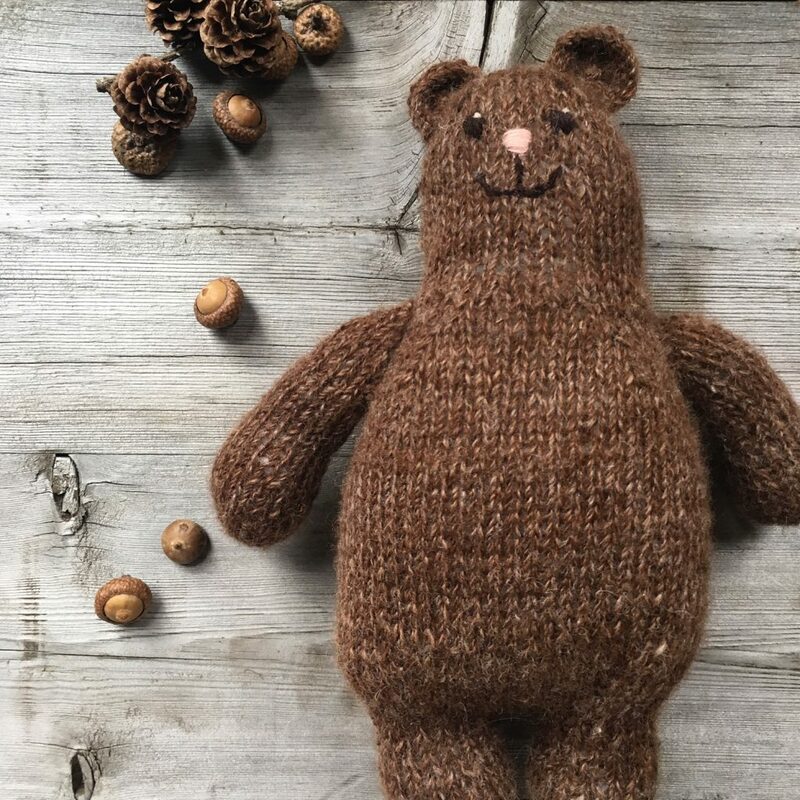 I loved knitting with The Border Mill for this design, the yarn is so luxuriously soft plus the heathered tweediness of the natural shades are excellent for a bear! That’s not to say that any of the other colours wouldn’t suit the pattern as well – I’d love to try a version in Hydrangea Dream or Green for Ondine. The pattern name ‘Otso’ comes from the Finnish word for bear, and I think this little one has a charming time wandering around in the snow and looking at the Northern Lights. Of course, after all that adventuring, they are now quite happy to find themselves at Loop! Now, are you as ready to cast on this huggable buddy as we are? To help you finish your Otso to the bear-y highest standards, check out Sophie’s finishing tips below! Soph’s Top Tips for Finishing! When seaming the flat version together, I recommend mattress stitch as this gives the neatest finish. Start from the top of the head and then sew together until you reach the top of the legs. Don’t cut this end and then sew the legs together from the paw up. You can then use the long length that you used for seaming from the head to close any gaps where the legs and body meet. Stuff as you go to make sure Otso is nice and squishy! Pin the ears in place at the same time to make sure they are level and sew in place using the cast off tail. To finish, weave the long ends into the fabric at the back of the ear as you normally would, then push the needle through the stuffing so it comes out of the fabric about 5cm away. Pull the needle through so the tail end is drawn through fully. Snip the tail end close to the fabric. 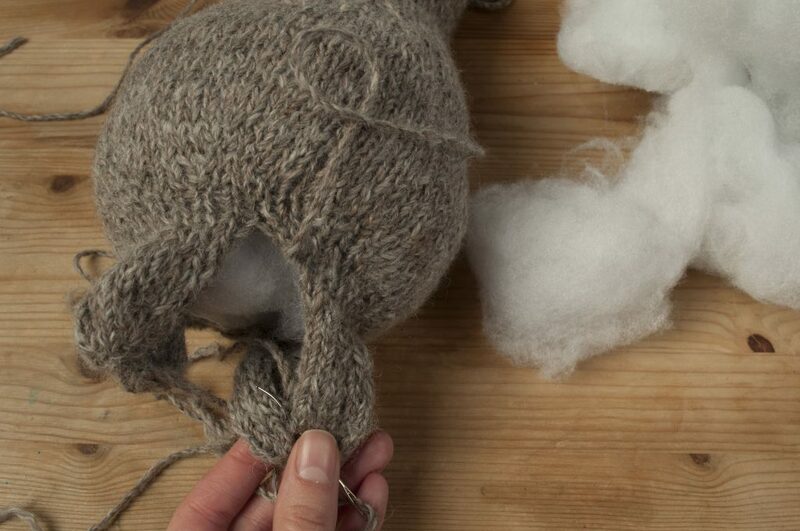 This method means your ends and finished safely and hidden neatly in the stuffing of the bear. When sewing up the arms leave the last 4cm open and sew in place by catching the stitch on the body and weaving through the edge of the arm shoulder – it should look almost like a raglan sleeve! 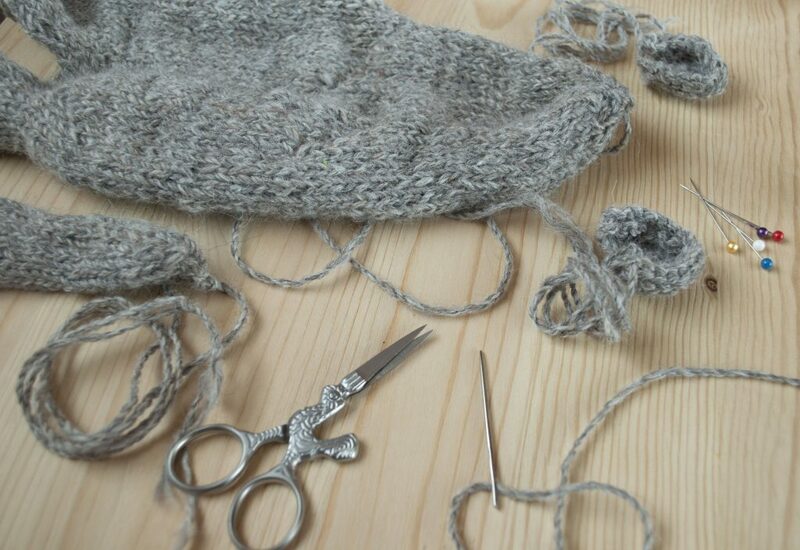 Once you’ve knit the two legs separately, you’ll need to join them together for the body. You’ll still be working in the round and knit around the legs one after another. 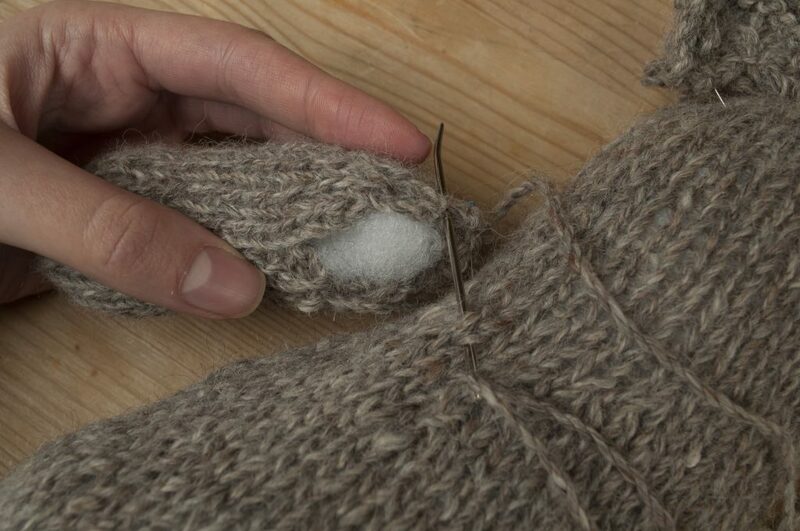 Arrange the stitches of first leg on the spare needle so the stitches are spilt equally, and make sure this is the same for the second leg that you’ve just finished knitting (Image 1). 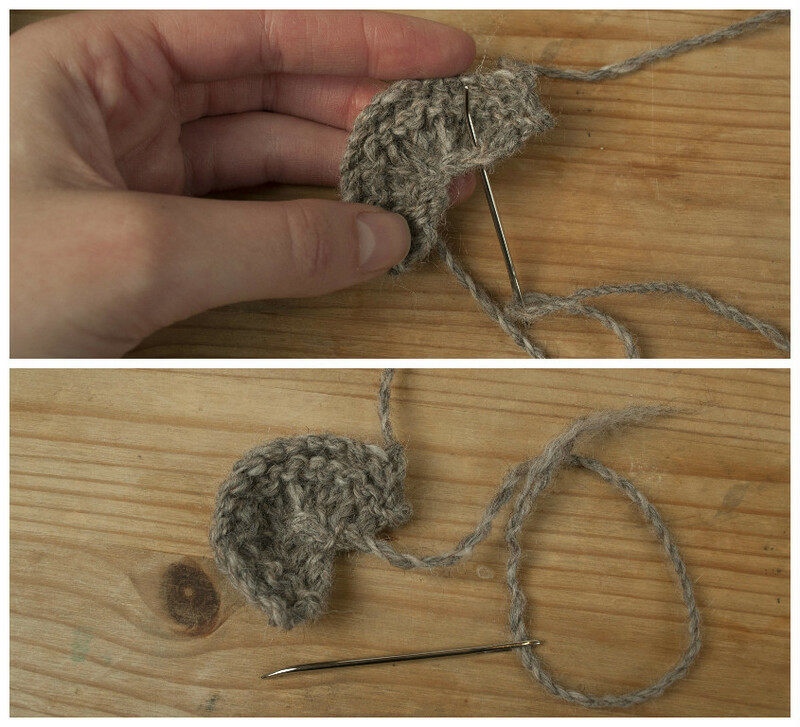 Knit across 8 sts on the front needle of the first leg (Image 2). 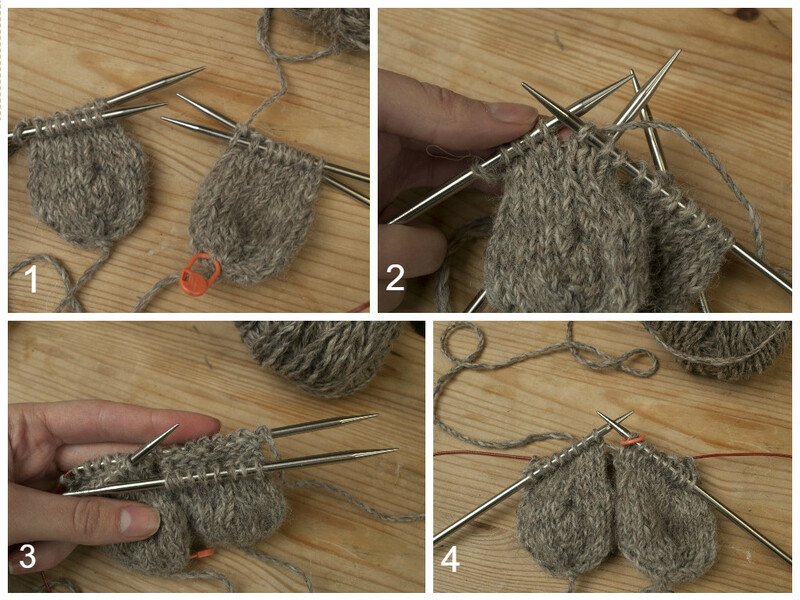 Turn work to knit across the second half (8 sts) of this leg. Then knit across the next (8 sts) of the second leg (Image 3). 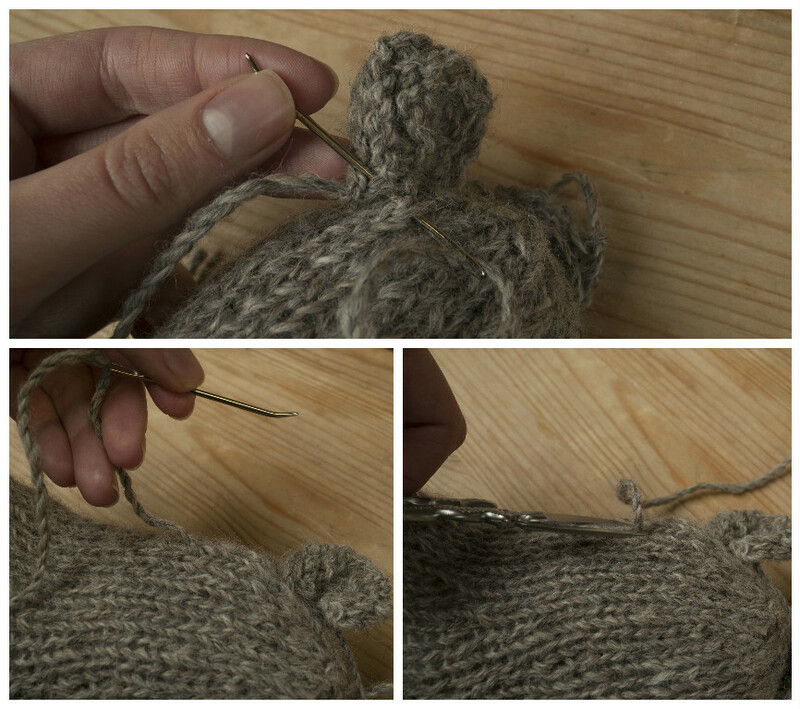 Turn work to knit across the second half (8 sts) of this leg and place a marker for show the new beginning of the round for the bear (Image 4). 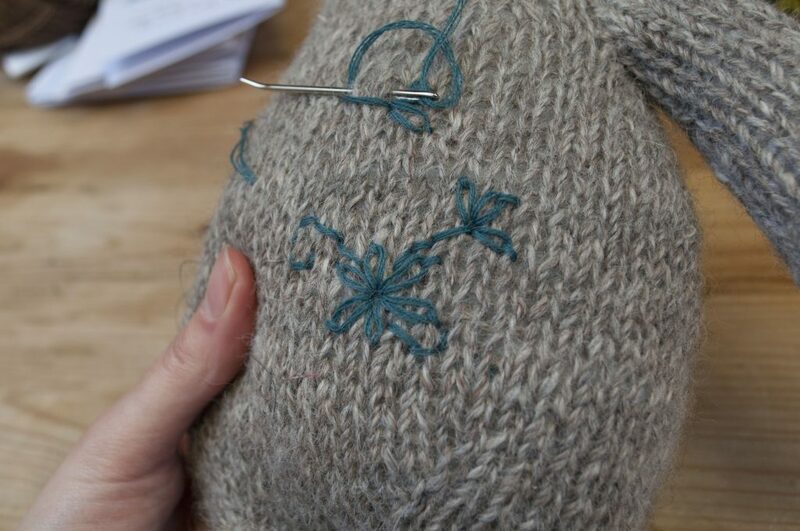 If you are embroidering the face, use pins to mark out where you want the eyes and nose. You can then build up details using satin stitch (long straight stitches) for the eyes and nose. Work the stitch vertically to give you a base and shape of the eye/ nose and then work over these stitches horizontally. 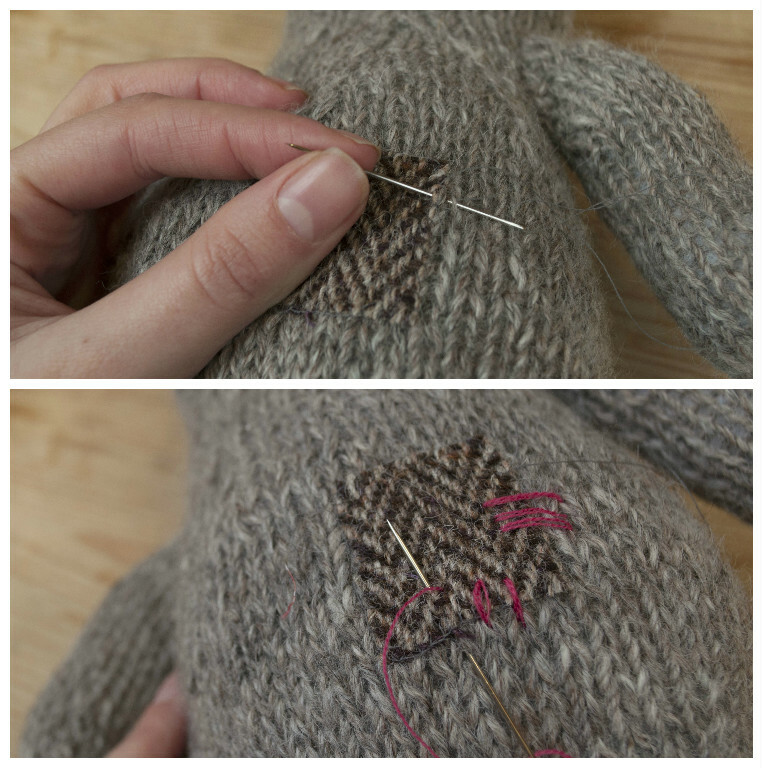 You can also add a highlight detail to the eye by making a tiny stitch with some white thread. For the mouth, use back stitch and use the stitch to ‘draw’ the smile. You could also add a patch with some fabric, I’ve added a little tweed square. First secure the fabric in place with sewing thread and then you can add some cute stitches in a contrasting colour. Click on the image of your preferred version of the pattern below to download. And as if an adorable free patterns wasn’t enough, we are also giving away one skein of Loop Alpaca Tweed in ‘Where Breezes Begin’. All you need to do to enter is to follow @looplondonloves and repost our picture on Instagram and make sure you use the hashtag #OtsoAtLoopLondon, or use the hashtag in a post of your own. And for an extra chance of winning, leave us a comment below telling us who you’d love to knit an Otso bear for. Entries close at midnight Wednesday 14th December. We hope you love Otso as much as we do, and we wish you all a wonderful time in these few weeks before the Holidays. Enjoy your knitting, we can’t wait to see all of your versions of Otso in the new year. This pattern is the property of the designer, herein known as Loop Knitting Ltd. It is copyrighted and is for personal and non-profit use only. This means you can knit it for yourself, for a gift or charity. You may not sell anything made from this pattern. You may not reproduce this in print or for a website. It may not be translated, reproduced or circulated in another language without prior agreement. Our Christmas opening times are here! If you are planning a visit to Loop over the Christmas and New Year period. We have also listed last posting dates for Christmas if you are ordering from the online or London shop and want your parcel to arrive in time. 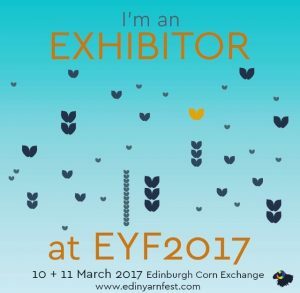 We will be at the Edinburgh Yarn Fair in March and we are just over the moon about it. We hope to see you there! I would make Otso for my newest great nephew Baptiste. I may have to select a more drool friendly yarn as he is only 5 months old, although I am sure I could find a little den here if not and where did I hide that lovely bundle of Harris Tweed? Have a festive Christmas and a fun New Year to all of you at Loop. I’ll be knitting one for my niece! She’s four now and I haven’t made her a toy since the episode of Anxious Bunny (for some reason, his stitched expression made him look anxious :S ). I’ve been practising smiles on things since then :) See! Thank you ! They are so cute ! I want to knit an Otso for my hope chest! he’s so cute! Thank you Loop! I want to and will knit two Otsos for myself and my mom. Well I know what I am doing this weekend! He/She is beyond adorable! Thank you so much, a delightful Christmas gift. I think Otso looks like a very friendly bear. I would knit him for my grown up son’s lovely girlfriend and I might make one for my son too! 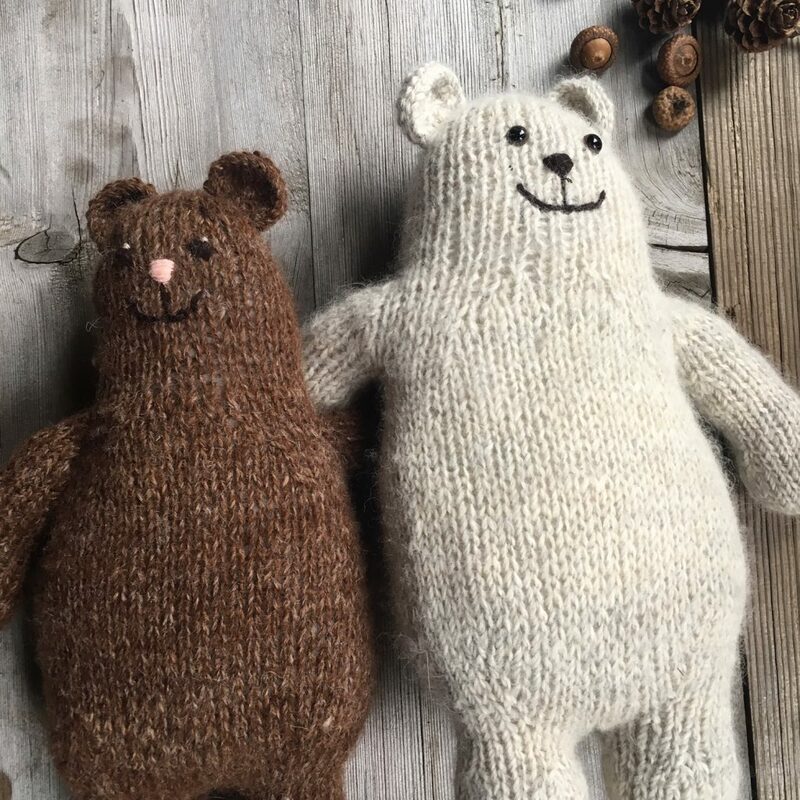 I would knit this for my daughter and her boyfriend – they love bears – and he just bought me a skein of tweed wool for my birthday!! I would make Otso for the present drawer but of course Otso would need to be outside of the drawer so I can admire the bear and think hard as to who to give the bear to. 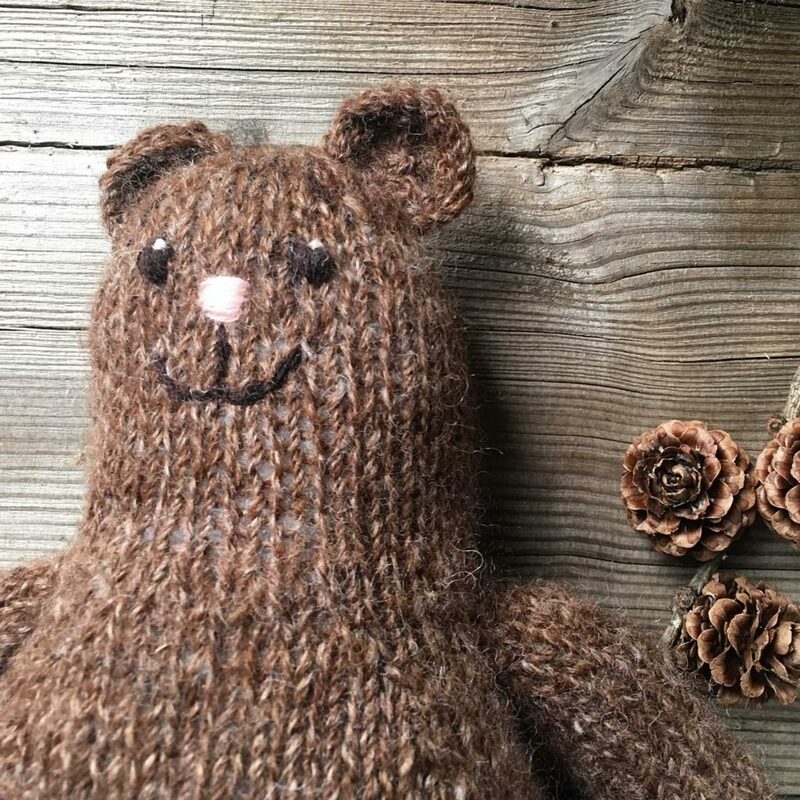 I would love to make two Otso bears for my twin daughters who are 24 now but are never too old for a cuddly friend like Otso. Thank you for sharing this adorable pattern. Merry Christmas! I’m going to knit Otso for the little boy I have on the way at the moment. I’d knit Otso for my local library, as a cuddly storytelling prop! Hi Susan! Thank you, for Otso … and Merry Christmas to you, too! 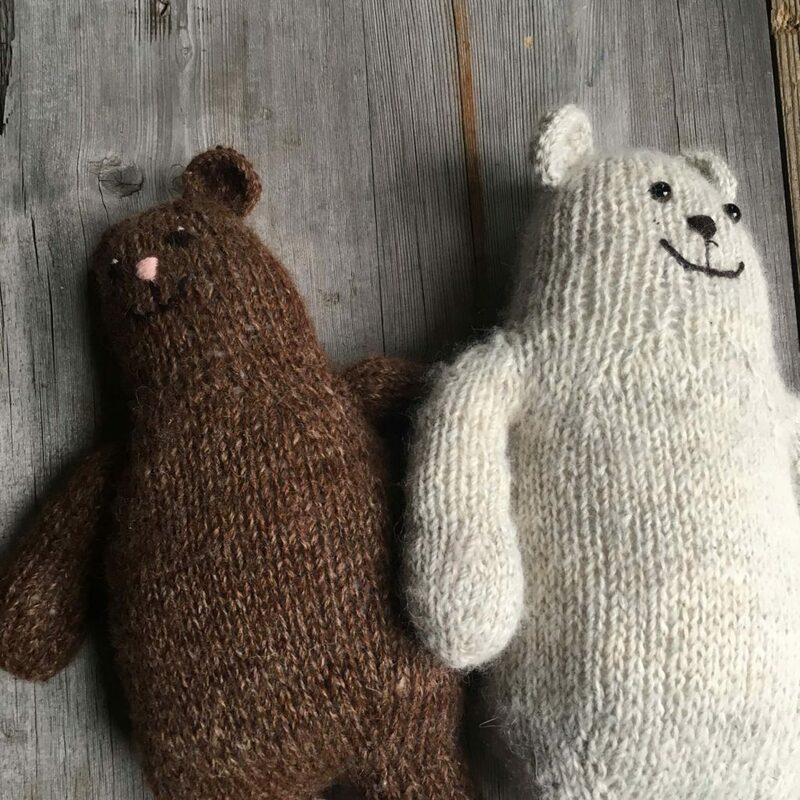 I would make two Otso’s… one for my soon-to-be 8 yr.old nephew and one for his on-the-way baby brother. Though, I agree with an earlier post- the one for the baby would need to be drool-friendly. Although, for my nephew he’d probably need a yarn that’s machine wash friendly as he is sure to love it and bring Otso everywhere! Do you have any suggestions on fiber substitutions that can meet those needs??? Hi Katie, so glad to hear you love our Otso! As for your substitution question, any good DK would work just fine. Take a look at either Rico Baby Classic DK, Sublime, or Alba organic cotton for example. All baby safe, soft and machine washable! Thank you for getting back to me :)! I’ll be sure to pick some of that up, then. One last question, though… are any of these also dryer friendly? Hm, upon further consideration I’d use the alpaca tweed to make an Otso for an adult friend of mine (and the other fibers for the children). He’s been going through a really rough time for the past year and a half. Enough so, to where he’s lost quite a bit’ of weight on his tall and very slender frame… he doesn’t look good and I’m worried… My hopes are that making it for him will show him that there are people who still care about him and hopefully that will help him gain back a little of his appetite and he’ll start to care about himself again. For my Mum…currently in hospital following a heart attack and pneumonia. I would knit this for my daughter Emily who is away at university. Thank you for the pattern. It’s a wonderful gift for anyone who is young at heart. Thank you for knit flat instructions. Love this bear. Will knit it for a little one year old girl. Her da is from England now in the USA. I’m going to knit Otso for my daughters. You’re never too old for a soft toy. They can hand them down to their children, like I did with knitted toys my mum made for me. Sweet Soft Otso! Thank you so much. My granddaughter would adore Otso. Love to knit for….fun !! Thank you LOOP ( Sophie) for this FREE pattern. I am going to knit Otso for my 4 month old grandson (first) Hugo. My daughter calls him Hugs. I am sure Hugo will love Otso. 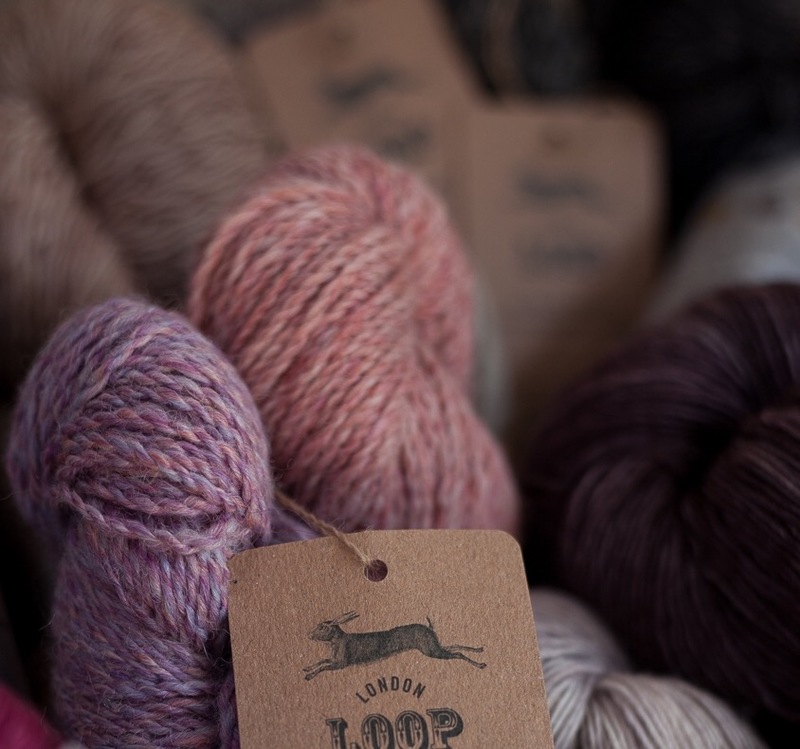 I will visit LOOP again when I am in the UK from Australia. Happy Christmas to everyone at LOOP. It looks somewhat like Stompy the Bear. My Grandson would a bear to go with his song. Thank you for sharing.